viaLibri ~ The English Spelling-Book and Expositor: being a new method of teaching children and adult persons to read, write, and understand the English tongue . The eighteenth edition. 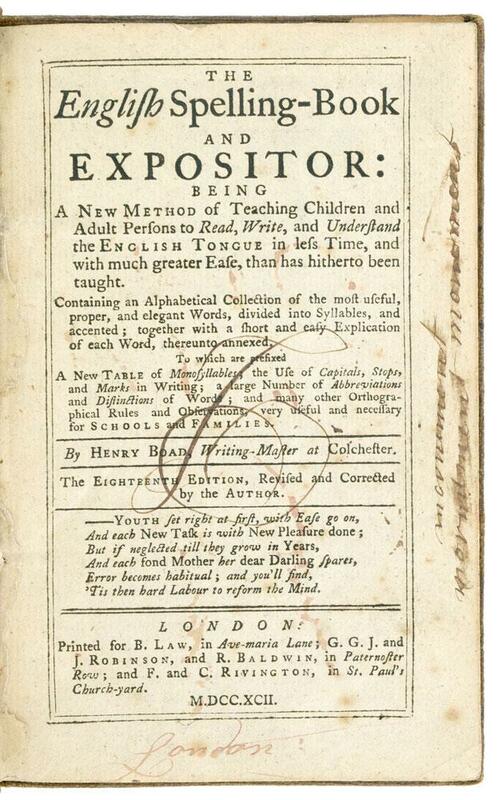 The English Spelling-Book and Expositor: being a new method of teaching children and adult persons to read, write, and understand the English tongue . The eighteenth edition.